On the first night of online shopping… you are relaxing in a coffee shop, using the stores free Wi-Fi as you pick out the perfect present for your daughter-in-law. Little do you know that at the table next you is a cybercriminal recording your every move as your credit card information is accessed via hacking the free Wi-Fi. So, don’t forget to launch your VPN app before online shopping in a public space. On the second night of online shopping… you get an email advertising a gift perfect for your nephew. You click on the link and order the gift, sharing your credit card information with a fraudulent vendor and becoming a victim of identity theft. So, instead of clicking the link on the email to make the purchase, search for the gift on a more reputable website such as Target.com, Amazon.com or Walmart.com. On the third night of online shopping… you bought a beautiful throw for your daughter’s new home from Bloomindalles.net. You didn’t know, but were soon to find out that misspelled familiar vendor names and website address with .net instead of .com is a trick by fake vendors. So, verify that the spelling of the website name is correct before making a purchase. On the fourth night of online shopping… you bought some great historical books for your favorite cousin from a seemingly lovely online book dealer. The site wasn’t secure. So even though the book dealer was on the up and up, a hacker was able to steal your credit card information from the transaction. 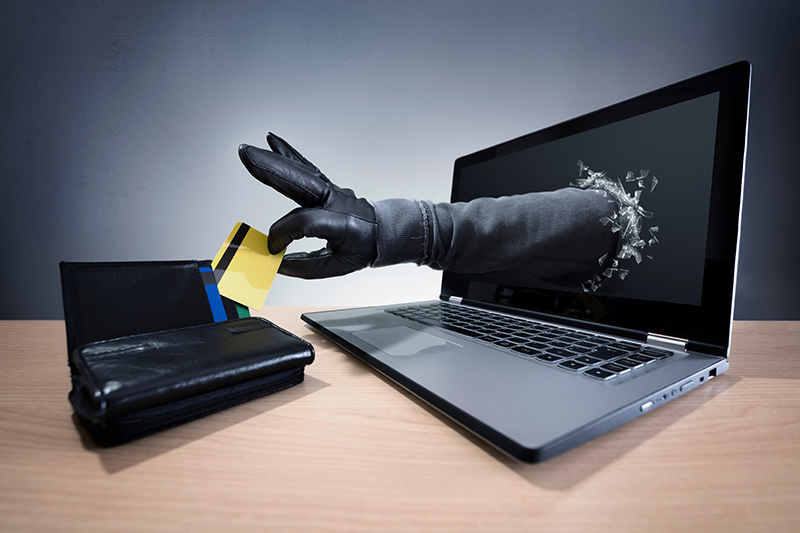 It’s always good to regularly check your credit card statement to determine if your credit card information has been stolen. On the fifth night of online shopping… you misplaced your credit card and used your debit card to buy your grandchildren beautiful, handmade toys from Europe. Unfortunately, the vendor was not reputable and you gave the criminal access to all of your funds in your back account. So, refrain from using your debit card from all online transactions and wait until you can access your credit cards. On the sixth night of online shopping… you happened on the most incredible deal, the bargain of the century. After you bought it, you realized that the offer was really too good to be true and now you are out the money you spent, with no gift in hand. So, remember that buying from reputable sites prevents this from happening. If you are purchasing from a 3rd party seller on a reputable site, the reputable site will help you get your money back in the case of fraud. On the seventh night of online shopping… you found the perfect gift for a dear friend and was so excited that you, without thinking, entered your birth date and social security number during the check-out process, giving a cybercriminal access to your identify for countless future crimes against you. So, if you have yet to place a security freeze on your credit at Experian, Equifax and TransUnion, now is the time. On the eighth night of online holiday shopping… your credit card statement came in the mail. It was a fat envelope. You didn’t entirely want to face how much money you had spent holiday shopping and decided to review that expenses later. Later turned into several months into the New Year and that delay made it exponentially more difficult to dispute all the fraudulent charges you despairingly found on your statement. So, take a breath, grab a cup of tea and review your bills in a timely fashion. Use these important cyber safety tips to be safe this holiday season! SHOP FROM KNOWN RETAILERS: By shopping on familiar sites, you are less likely to get any surprises. Beware of misspellings or domain names using “.net” instead of “.com” as that is one of the common ways scammers trick consumers. BE SURE THE SITE IS SECURE: A secure website starts with https:// instead of http://. Secure sites will also have a small lock icon in the lower-right corner of the screen. PAY WISELY: Use a credit card instead of a debit card. If your credit card data is used falsely, it’s easier to resolve issues with a credit card company than with your bank. Making purchases by providing your credit card number through email is never, ever wise. BE WARY: Avoid shopping websites that offer prices that seem too good to be true. A common tactic by cyber criminals is using extremely low prices on popular items, such as electronics, to lure in potential victims. Buy from an unfamiliar website with a great deal and run the risk never seeing the merchandise (or the website) again. Worse yet, it could be a “phishing” scheme, where shoppers who click through are led to a false site developed to steal their data. If the deal is too good to pass up, enter the website name by hand into your browser. GIVE THE LEAST AMOUNT OF INFORMATION POSSIBLE: Keep your personal information private. Don’t provide to anyone your social security number or your birthday. This information, combined with your credit card number, can result in identity theft. REVIEW YOUR STATEMENTS: You should already be regularly checking statements for credit and debit cards as well as checking accounts regularly. In January and February, it’s especially important. Even small charges you don’t remember making can be a sign of fraud. Notify your bank or credit card issuer immediately to report unknown charges. SHOP FROM HOME: There’s no place like home…for a secure network. Public Wi-Fi can be easily hacked, exposing your passwords, billing information and other sensitive data. When on a public Wi-Fi, limit yourself to window-shopping and price comparing, rather than buying. Do your holiday shopping from the safety of your home – not on your phone in a restaurant or store. If you want to shop on the go, make sure you use a VPN. ACCESS IDENTITY THEFT PROTECTION SERVICE: Inconvenience is your friend when it means taking the time to verify purchases against fraud activity. Take advantage of the alert features on your credit cards. These alerts can warn you of abnormal account activity, which are helpful any time during the year but are especially useful during the busy holiday shopping season. UPDATE, UPDATE, UPDATE: Make sure that your computer and your devices have the most current security software patches installed. Once a security patch is available, cyber criminals have all the information they need to attack devices that have not been updated. Savvy Cyber Kids educates and empowers digital citizens, from parents and grandparents, to teachers and students. Sign up for our free resources to help you navigate today’s digital world with cyber ethics. See more cyber safety and cyber ethics blogs produced exclusively for EarthLink. Looking for a social media parental control? Try a 30-day free trial of Bark. If you sign up after your trial, Bark donates 25% of your monthly fee to Savvy Cyber Kids. Thank you to the Savvy Cyber Kid’s sponsors! 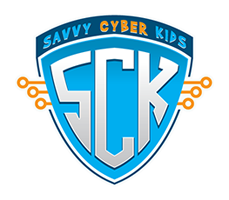 Interested in becoming a Savvy Cyber Kids sponsor? Email Ben Halpert.